Without elephants, the ancient Library of Alexandria might not have existed. Every war has, as a byproduct, cultural and technological innovation: in our world, the US Civil War led to medical advancements and the Cold War put us in space. In the classical era, it was the race to build elephant armies that changed the world. By 275 BCE, Alexandria was the largest, most beautiful city in the world. Its buildings were made of limestone and marble, imported from places worlds away. Its relatively temperate climate meant that flowers were almost always in bloom, impressing foreigners both from warmer and cooler climes. Scholars from around the world came to study and work at the Museum and Library. Life in the city was good. Just seven years earlier, when Ptolemy Philadelphos (second of the rulers of the Ptolemaic dynasty) took the throne, Alexandria was but another city on the Mediterranean. In less than one hundred years, it went from a small seaside town founded by Alexander the Great to the city you learned about in your high school world history classes, with its famous lighthouse and library. All because of elephants. 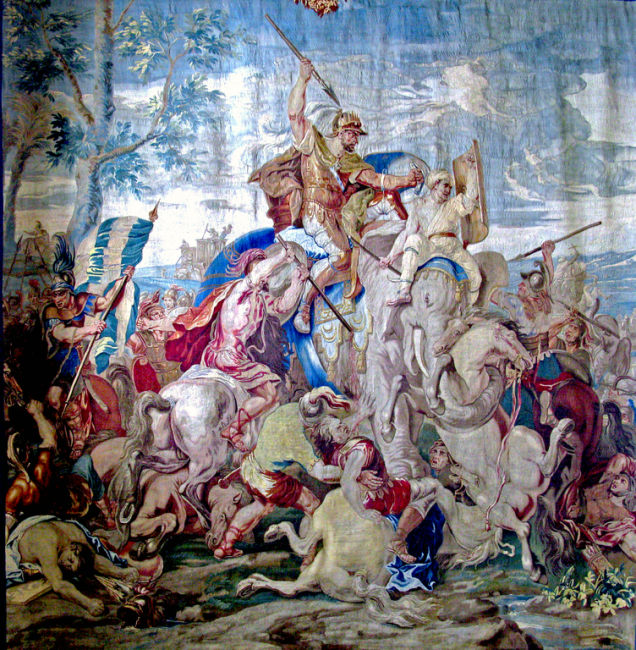 Alexander the Great first came across the impressive creatures while invading the Persian Empire. It was 331 BCE, at what is now called the Battle of Gaugamela, where Darius, king of Persia, faced down the invaders with a phalanx of fifteen elephants. In the book The Medici Giraffe, historian Marina Belozerskaya writes, "[f]lapping their ears, trumpeting, and stomping the ground with their treelike feet, the giant beasts were terrifying to the uninitiated. They threw soldiers and horses into panic, trampled them underfoot, and wreaked havoc on the battlefield." While Alexander won the battle, his interaction with those magnificent creatures would forever change him. He realized the tactical value that elephant warriors held, and began to assemble his own elephantine army, starting with the defeated Darius's fifteen animals. Some five years later, Alexander's army found itself in India readying for battle with Porus, king of India's western region, and his one hundred elephants, their tusks adorned with body-piercing metal tips. Porus had turned elephants into battering rams and attached lances to their faces. It is no wonder that Belozerskaya describes the trumpeting of Porus's elephantine army as "blood-chilling." As before, Alexander eventually prevailed, but only barely. His army gave up after their deadly encounter with the ivory-bearing war-machines. With an army unwilling to fight, Alexander was forced to retreat. He died soon thereafter. Elephants themselves didn't guarantee triumph, as Alexander had himself proved. "Superior strategy and command proved more decisive," writes Belozerskaya. Still, the appearance of power was important. Indeed, Alexander never managed to turn his two hundred elephants into a functional faction of his army. His campaign was so fast moving that he couldn't train the animals he rapidly acquired, all Asian elephants, Elephas maximus, originating from India. Instead, the elephants were mainly used for transporting equipment, and to stand before his throne room as a symbol of power. Upon his death, Alexander's generals carved up the empire, splitting it amongst themselves. Seleukos took northern Syria, most of Asia Minor, Persia, and Mesopotamia. He also got most of the elephants. Since he controlled the route to India, from whence all war elephants came, he could prevent his enemies from amassing their own elephant armies. He got an additional 500 elephants in exchange for returning some land to Indian rulers. It was not long before he became known as "Master of the Elephants," creatures which soon adorned the coins minted in his kingdom, stamped opposite his own portrait. 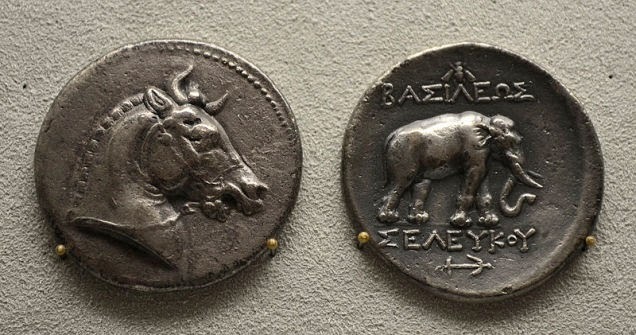 Thanks to Alexander, and to Seleukos, the military-minded began to gauge their enemies' strength, as well as their own, by the number of elephants they commanded. It was an ancient, escalating arms race, with elephants used more for threat than as actual tools of war. It was a problem for Ptolemy. After Alexander's death, Ptolemy gained control of Egypt, and he quickly added Cyprus and part of Libya to his kingdom. Both he and Seleukos claimed southern Syria for themselves, which was the final stop on trade routes from the Far East, and a source of precious gems, spices, and more. It was also home to the famous cedars of Lebanon, wood that was preferred for building ships and temples because it grew so straight. But Seleukos's deal with the Indians prevented Ptolemy from acquiring more elephants than he already had. In this ancient arms race, Ptolemy found himself at a loss. He was a clever strategist, though, and managed to retain his territory long enough to pass it on to his son, Ptolemy Philadelphos. When Philadelphos became king, southern Syria was still disputed, claimed also by Antiochos, son of Seleukos. Like his father, Antiochos retained a monopoly on Asian elephants. Like his father, Philadelphos's army suffered a lack of the animal war machines. 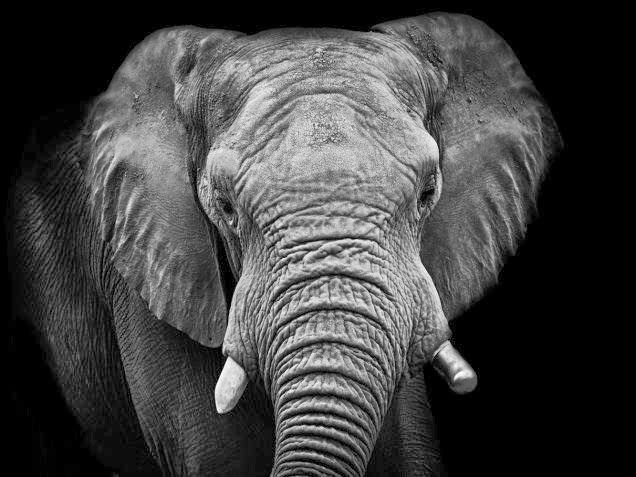 But Philadelphos was highly educated, and having become familiar with the writings of Aristotle and other Greek philosophers, he knew of there were supposed to be other elephants, farther south in Africa. Philadelphos's explorers eventually discovered African elephants, Loxodonta africana, along with a group of local Africans who knew how to capture and tame them, in the kingdom of Meroe. Meroe, in modern-day Sudan, was the transfer point along the trade routes that connected Africa and Arabia, meaning that salt, copper, iron, gold, wood, ivory, and valuable wildlife all came through the city. An agreement with Eramenes, king of Meroe, would prove useful to Philadelphos, and not just for elephants, but for access to those trade routes. For his part, Eramenes wanted access to trade with the Mediterranean. The two men, both shrewd leaders, struck a deal. It was impossible to transport the elephants up the Nile, so Philadelphos decided that they'd return by way of the Red Sea. But the sea is shallow and rocky, and elephants are heavy. Shipwrecks were common. Philadelphos hired naval engineers to invent special sailboats calledelephantagoi, meaning "elephant drivers," that could get the job done. Those that survived the 8-day voyage without sinking would land at Berenike, a port city that Philadelphos built to facilitate his elephant transfer. Along with elephants, the port also received ivory, tortoiseshell, rhinoceros horn, spices, frankincense, myrrh, and human slaves. It was also the place where Indian trading partners sent their wares by sea: diamonds, sapphires, pearls, turquoise, cotton, silk, sugar, and pepper. And ointments, perfumes, and cosmetics. Antiochos may have retained control over the terrestrial trade routes with India, but suddenly Philadelphos could now get there by sea. Philadelphos hired archers to protect his ships from pirates in the waters off the Horn of Africa. Having established trade with India, Philadelphos sent emissaries to King Asoka, grandson of the Rajah who first struck that deal with Seleukos, some decades earlier. He didn't need elephants, but what he did need were folks who knew how to train them. Anymahouts that Ptolemy had inherited from his father were likely very old by now, if alive at all. It is safe to assume that Asoka gave Philadelphos the mahouts he desired. Otherwise, he never would have been able to safely transport so many from Meroe to Egypt and on to battle in Syria. From Berenike, the elephants and their handlers had to walk 12 days to Coptos, a city on the Nile. Philadelphos had his soldiers clear tracks, dig wells, and build shade structures along the route. Watering stations were built at twenty-mile intervals. 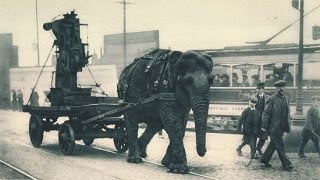 From Coptos, the elephants were loaded onto barges and shipped north to Memphis, where they could await their dispatch. To aid the elephant caravans, Philadelphos also imported the dromedary camel, native to the Arabian Peninsula. The camels, used to walking on hot desert sand, were better equipped to carry the material goods from Berenike to Coptos. In the winter of 274 BCE, the entire city of Alexandria celebrated a festival called the Ptolemaia, which lasted several weeks. The festival was meant to be a show-and-tell for the newly enriched city, complete with music, theater, food, and drink. The biggest spectacle was a parading re-enactment of Dionysus's return from battle in India. A giant statue of the Greek god atop an artificial 18-foot-tall elephant was followed by twenty-four chariots, each drawn by four live elephants. It was not just a celebration; it was a show of force. By parading almost one hundred elephants through the city, Philadelphos was flexing his military might. It was clear to see that the balance of power in the classical world was shifting. In the end, it wasn't the elephants themselves that mattered to history, it was the pursuit of those elephants. It was Philadelphos's unending drive to acquire an elephant army that built Alexandria into the city it was, that led to the establishment of one of the most important civilizations in ancient history. It's a lot like the modern space race. It may have been borne out of post-war politics, but it spawned the invention of artificial satellites, and the launching of unmanned probes to study the Moon, Venus, and Mars. It resulted in advances made in human spaceflight both in low-earth orbit and to the Moon. The space race spurred increased spending on scientific research and for education. The modern environmental movement also grew directly out of early spaceflight thanks to color photos of our pale blue dot taken by astronauts. Arms races of all kinds tend to have as byproducts technological, cultural, and diplomatic innovation. 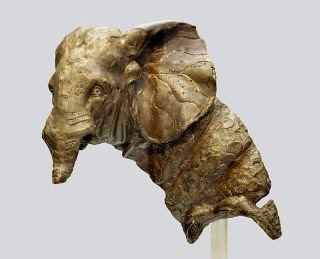 Because he was so committed to his elephants, Philadelphos developed new trade routes and forged diplomatic ties that he used to shore up his own territories. He built entire cities from the ground up. The elephant arms race also spurred him toward technological innovation, such as the invention of a new class of transport ship. The wealth and prosperity that he enjoyed because of those trade routes – developed initially for elephants! – would allow Alexandria to become known as a place of education, of mental pursuits, the location of the greatest library in history. The sparking jewel of the Mediterranean may never have achieved the glory it had if not for the lumbering pachyderms.